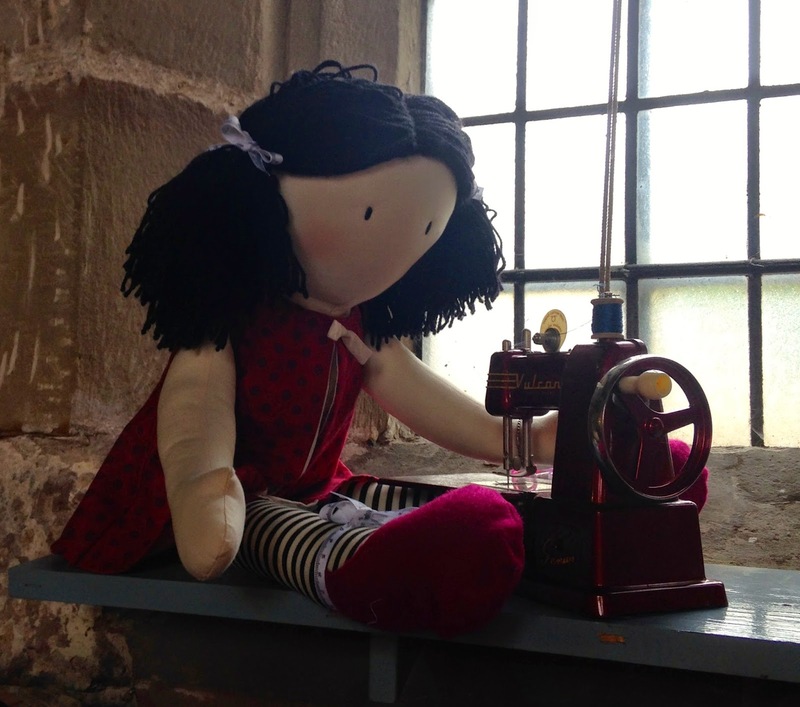 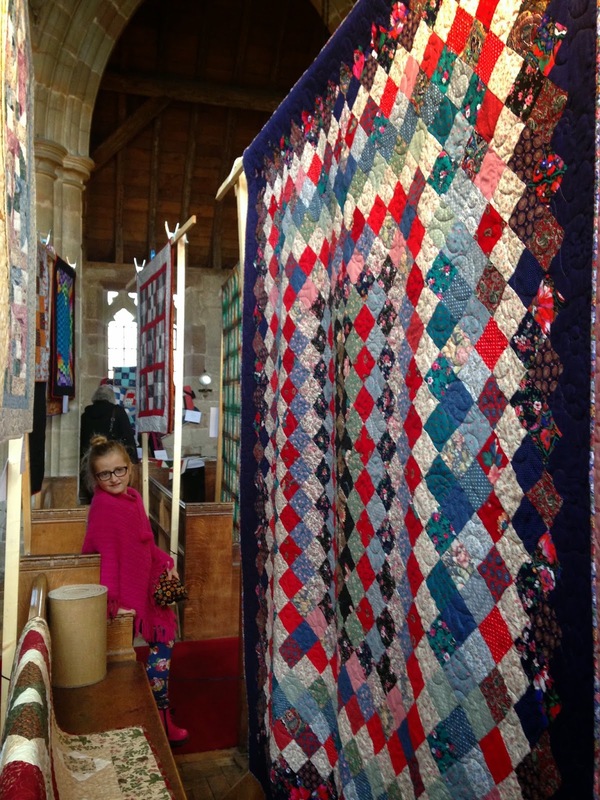 Today my young creative and I ventured over to the next village for 'Quilts & More'. 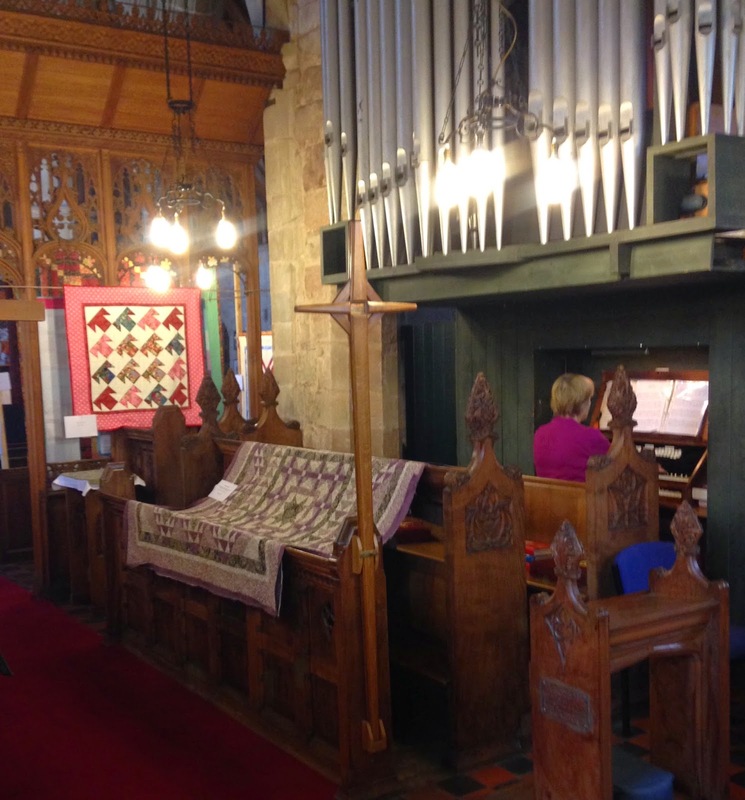 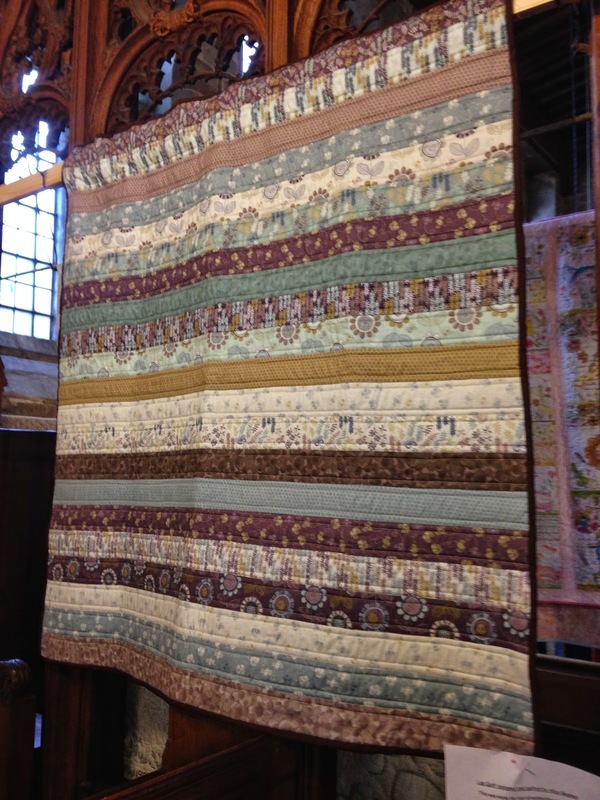 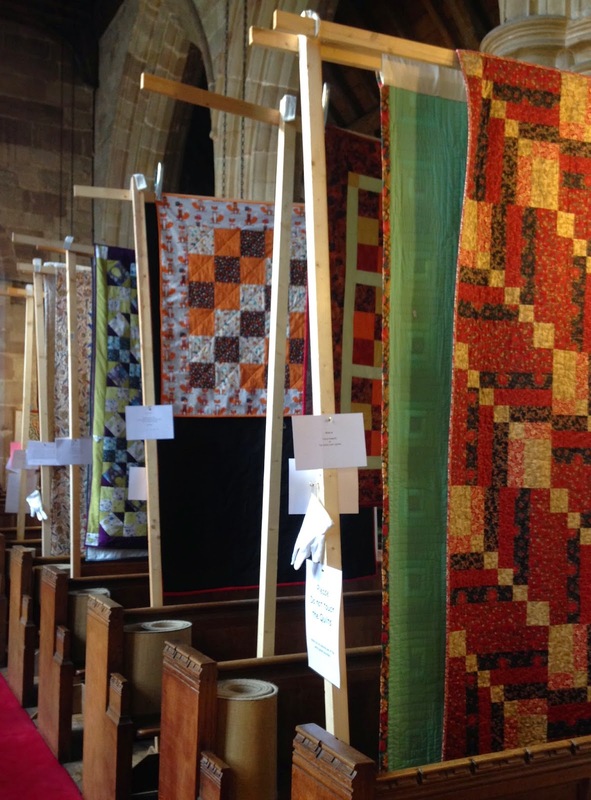 A Bi-Annual exhibition of quilts held in Bradley Church. 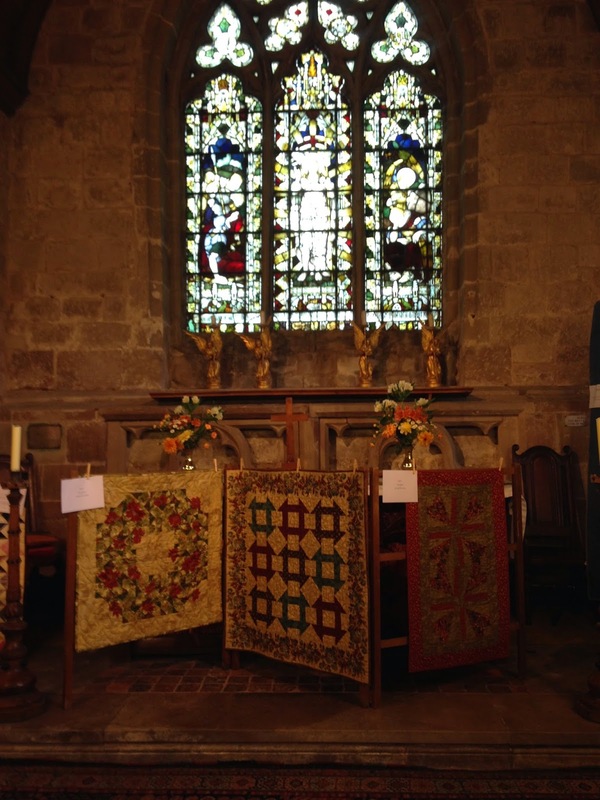 The quilts are hung around the church and on stands along the pews. 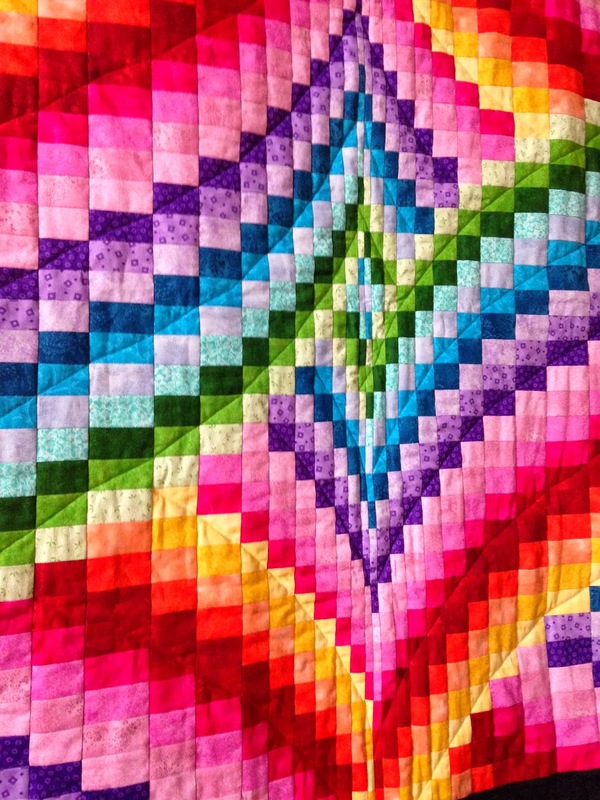 We liked the brightest ones of course. 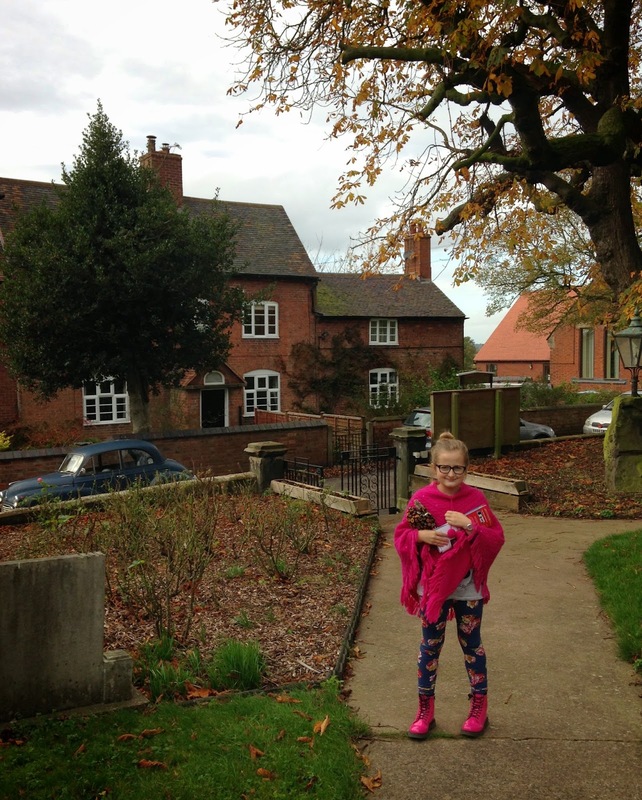 Betsy admired this young lady's Vulcan. 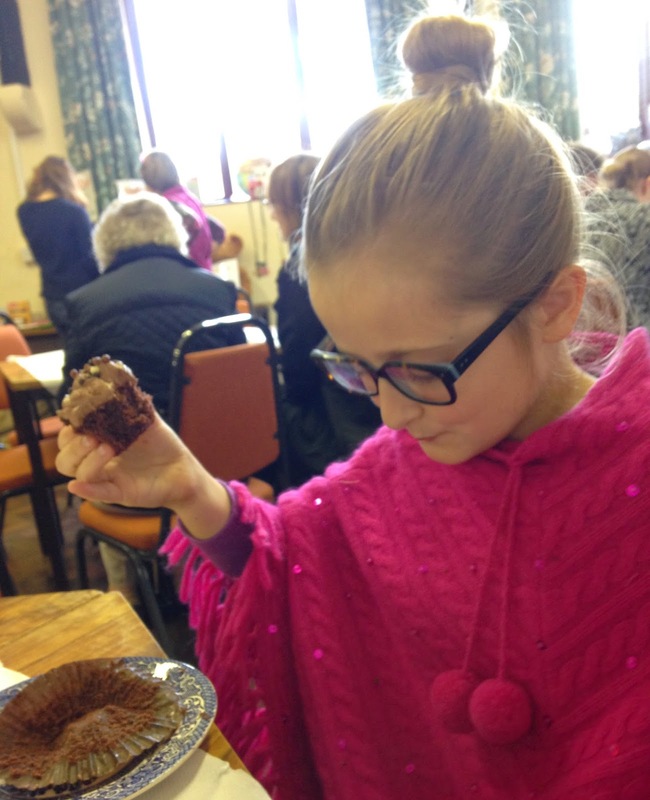 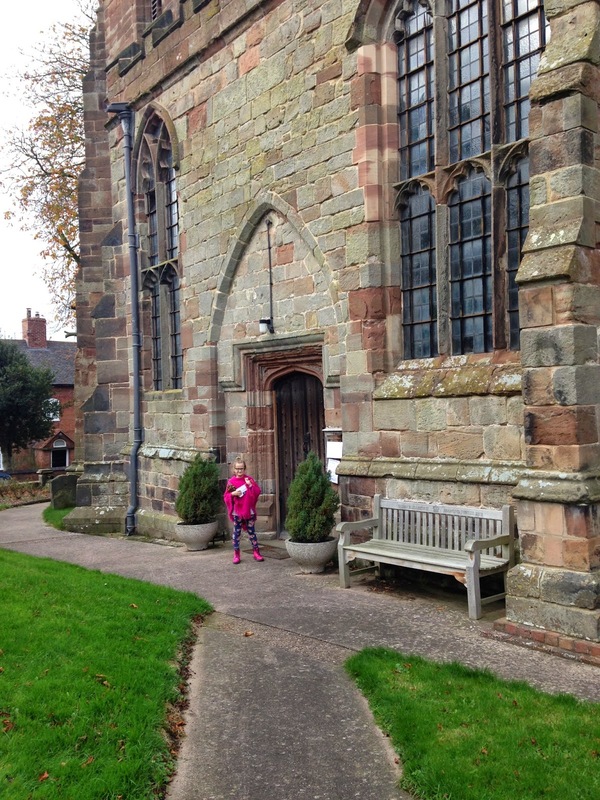 A very enjoyable sunny November morning and we managed to buy fabric and cake!